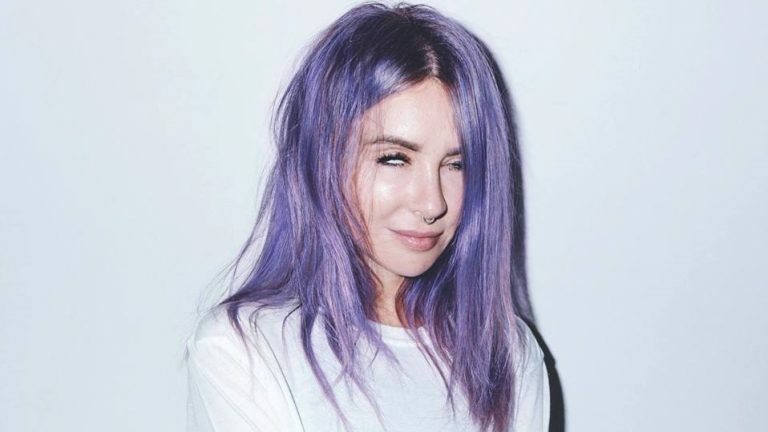 Alison Wonderland has returned, bringing The Awake Tour to Australia following several successful months of shows in the Americas, including a re-vamped set at EDC Orlando that was met with praise by fans, with YouTube commenter YellowSlice stating, “I shed so many thug tears during her whole set [sic].” Besides touring, Alison has had a pretty great year in general, with her sophomore album Awake peaking at #7 in Australia and #1 on the US Dance Charts, signing to BMG and having a fan base that only seems to grow in size and dedication. The latter was evident as I passed The Forum on Saturday, hours before the gig with a line already forming. One fan at the front told me about how they had been there for a few hours already, just so they could get a photo with Alison on her way in for rehearsal. By the time doors opened the line was snaking down Hozier Lane, with plenty of people still pouring in while the supports performed. First up was Sydney duo HI LIFE delivering a good time with their electronic grooves and dance remixed hits, JANEVA joined them on stage to further the good times with her angelic voice and strong stage presence. HI LIFE haven’t been performing for long, but their potential is clear, they are definitely an act worth following. Sydney rapper Manu Crooks was next up. His DJ started spinning some rap hits to get the crowd hyped, and by the time Manu got on stage, the energy was right. With solid tracks like ‘Day Ones,’ ‘Best Years’ and ‘Fuego’ it was pretty safe to assume he would turn up, and he didn’t disappoint; sleek visuals, crowd surfing and general excellence. Manu Crooks is one of the most exciting hip-hop acts in Australia right now and putting him on as a support act for most of the Awake Australian tour was a smart choice; he got the crowd energy high and ready for the main event. Anticipation was building as the Forum was filling with bodies eager to dance. A giant light projection burned the iconic Alison Wonderland pentagram on the LED wall behind the decks; people were losing their mind, Alison was yet to appear on stage, but everyone knew it was go time. Suddenly she appeared and Good Enough immediately started blasting, allowing Alison to play some cello to the crowd’s delight, before running back to the decks to deliver the track’s absolutely dirty drop. What followed was nearly two hours of non-stop Wonderland magic, including originals, remixes of some of pop hits and general EDM goodness; all heightened by Alison’s strong stage presence and energy. The visuals also need to be mentioned, they were amazing, from trippy clips displayed on the LED wall behind the stage to the huge variety of lights, visuals can really make or break a concert DJ, and Alison’s were on point. It’s hard to point to talk about high points when there was never really any lows, but some standout moments included her remix of Ariana Grande’s ‘God is a Woman,’ ‘Dreamy Dragon’ (because a fan on twitter asked her to, aww), and my personal favourite, when she played High – she got up on the decks and made everyone in the venue put both hands up while a giant red LED moon shone bright behind her – I very much felt like I was in a cult. The amount of polish and perfectionism that goes into an Alison Wonderland set is clear. She is very open about the mental health struggles she has as a touring DJ, and that kind of honesty brings a dedicated fan base. The love the crowd had for her and her craft was clear, and getting to witness thousands of people dance, cry and sing their hearts out is a beautiful thing. Image provided courtesy of artist.